Grayimages, Sean Gray's bird photography. Modern Haiku's review of Matthew Paul's haiku collection The Regulars and John Barlow's latest collection Waiting for the Seventh Wave, from the Spring 2008 issue. Matthew Paul / Poems blog. In addition to the Wing Beats: British Birds in Haiku book, other events have naturally flowed from this ongoing project. 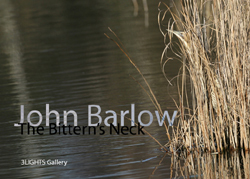 An online exhibition at 3LIGHTS gallery, The Bittern’s Neck is a collaboration between Wing Beats poet John Barlow and photographer Sean Gray. It also features an in-depth interview with John Barlow conducted by 3LIGHTS curator, Liam Wilkinson. "John Barlow's exhibition of bird haiku, with stunning photographic accompaniment from Sean Gray, is one of the best displays of haiku on the web that I've seen. It makes a great appetiser for the forthcoming anthology of British bird haiku, Wing Beats. Several of the poems included are well-known favourites from Presence. There's also an insightful interview with the author, which includes a forthright defence of experiential as opposed to "creative" haiku. Well worth a look." John Barlow and Matthew Paul gave a talk and audio-visual presentation on the Wing Beats project at the Haiku North America conference in North Carolina in August 2007. The online journal Simply Haiku has presented two selections of bird haiku by John Barlow, one involving British birds and, more recently, another involving American birds. The latter issue also features a selection of haiku by Matthew Paul, opening with a bird haiku from the Blue Ridge Mountains. Links will be added on an ongoing basis. Mark Cocker's Birds and People is a major new project that will lead to the publication of 'a unique form of ornithological book', "as much about ourselves and our responses to birds, as it is about the creatures themselves". A joint venture with BirdLife International, the project team also includes the photographer David Tipling and the consultant Jonathan Elphick.